Good news, colorists! 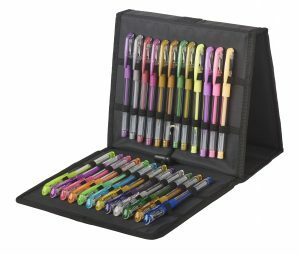 To celebrate our awesome community, we’re offering half off a wide variety of GelWriter gel pen sets all month long. Just use the code 50GELPENSALE at checkout to secure your savings, while supplies last! 100 Count in Arc Stadium Stand: Buy at $22.50! 100 Count in Stadium Stand: Buy at $15! 84 Pens in Stadium Stand: Buy at $12! 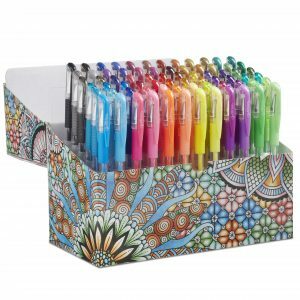 72 Count in Flip Top in Colored Box: Buy at $20! 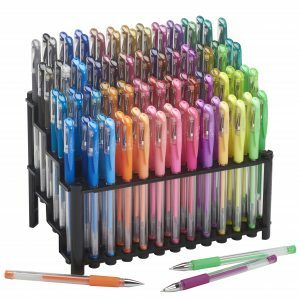 36 Count in Flip Top in Colored Box: Buy at $10! 36 Count in Fabric Easel Case: Buy at $17.50!